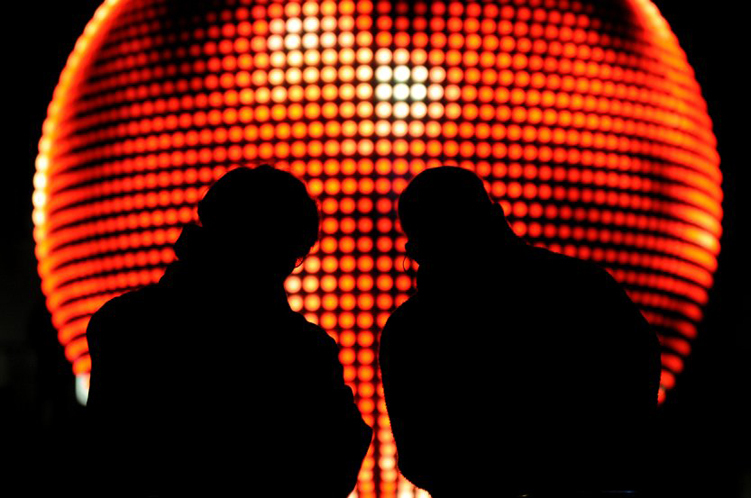 The Walk a huge, 2.5-meter diameter sphere comprising 5000 pixels with a total of 35,000 LED’s. 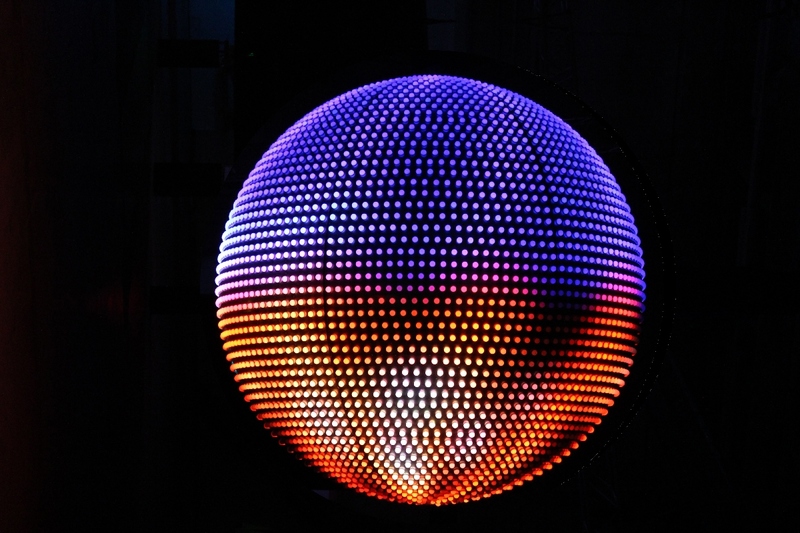 The sphere is both, an object and a spherical screen showing a 7.5 minute long video loop. The intense, red glow of the lamps in Ex’s globe produce an enthralling variety of color and movement. The spherical shape and its change of light and color give the impression that it is a rotating orb. Titia Ex is an artist whose ideas are shaped by the experience of space. This means that she rarely produces work you can look at while it is there hanging immobile on the wall. Most of the works by Ex are experienced as they arise in space. Much of the work by Titia Ex is made for the public space, plazas, on and inside buildings, in the city and the landscape, in traffic, in the midst of infrastructure and gardens, next to houses and offices. Can Light Art Collection deliver the full production of a light festival? Where can light art be exhibited?